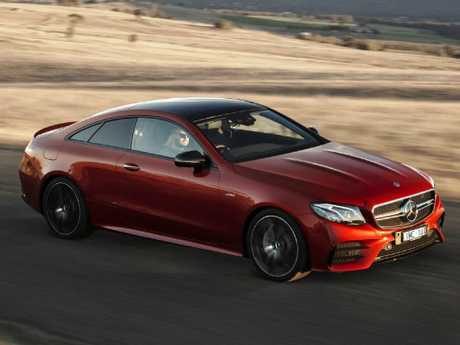 AMG isn't known for doing things by halves - yet that's exactly what the Mercedes-Benz performance tuners have done to the latest arrivals in the E-Class range. The motor also powers the 48V electrical sub-system - there's still a regular 12V wiring loom - and contributes to one of the most impressive take-offs you can hope for. AMG boss Tobias Moers says the new variants are the first step towards a hybridised future. "We are providing an additional lifestyle-oriented customer group with a further attractive offering," he says. The 48V approach is far cheaper than engineering and building a full hybrid set-up. 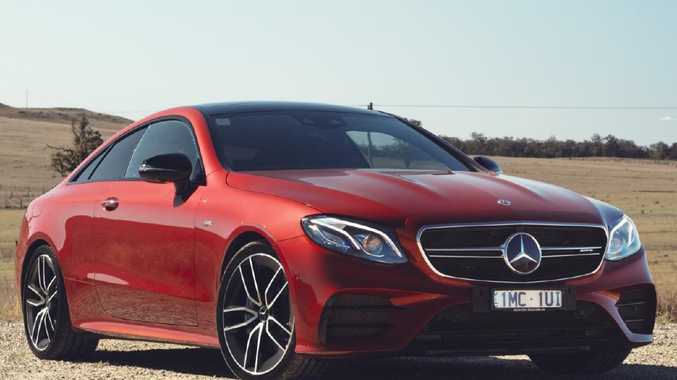 It combines snappy acceleration - think 4.4 seconds for the 0-100km/h dash - with fuel use you just don't expect to see from an AMG-badged vehicle. The coupe's claimed consumption is 8.8L/100km and we returned 11.0L on a representative mix of highway, urban and back-road driving. The interior is as special as you'd expect at this price, from the pair of 12.3-inch screens dominating the dash to the leather upholstered seats and Mercedes' latest "comfort and convenience" additions such as air fragrancing, wireless phone charging and panoramic sunroof. Beyond the AMG badges, logos and flat-bottom steering wheel, the E53 doesn't advertise its performance potential until you slip into the sportier driving modes or manually activate the exhaust flap to transform the sonic signature into a burbling, over-run crackling soundtrack that will have the neighbourhood dogs barking, if not the neighbours themselves. By any definition, the E53 is quick, be that off the line or powering out of a corner. Quick is a relative term given the E63 is a full second faster to highway pace but the E53 has more than enough mumbo to satisfy its "lifestyle-oriented" target audience. In keeping with that lower expectation, this isn't a vehicle where you adjust cornering angle with the brake or accelerator. It's a point-and-squirt exercise where the car travels precisely where it is directed until physics dictates the front-end will start to push wide. That threshold is well above what most sane drivers will encounter on public roads. Accurate enough to satisfy surveyors, the steering lacks a little feedback by AMG standards, especially if you've been in a C-Class tweaked by the Affalterbach engineers. The air suspension is notably firmer than a regular E-Class but is still more than capable of cosseting the occupants in the "comfort" drive mode. The seats are superb and reinforce the E53's remit as a long-distance luxury cruiser. 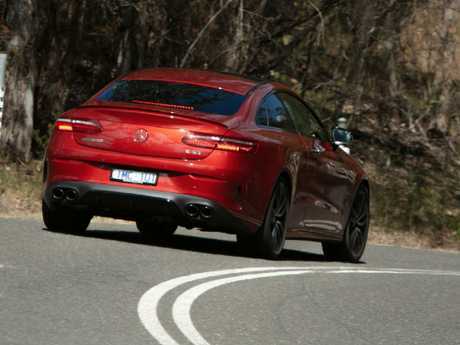 In coupe guise - the sedan wasn't available at launch - access to the rear pews isn't particularly elegant and legroom is tight for taller adults, though fine for my 175cm frame. The self-steering is also steadily improving, even if it isn't something to which I'll entrust the occupants' safety when it can't see a line on either side. The E53 headlines the engineering evolution needed to balance emissions with excitement. It's still an AMG, if unlike any that's come before … and it still isn't half-bad.